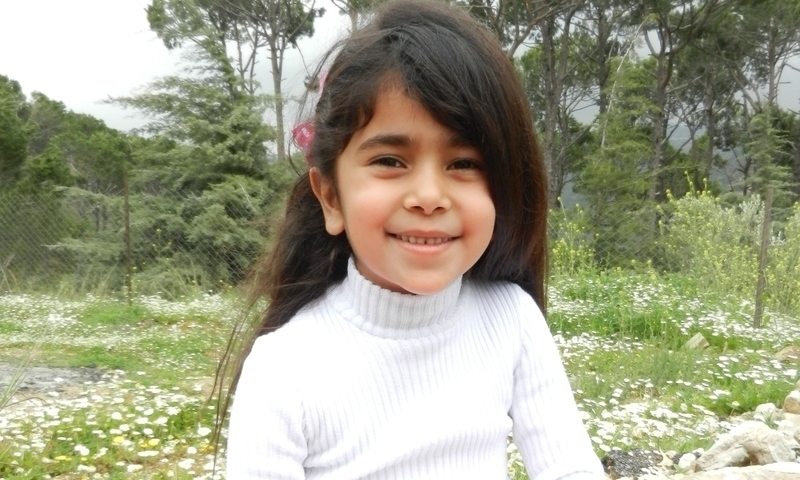 Hala is an intelligent and playful eight year old with a twinkle in her eyes. She lives at our Beit el Safa Girls’ home in Lebanon and likes playing on the swings and riding her bike. She joined the Beit el Safa (Home of Serenity) Girls’ Home along with her elder sister Amina after a family conflict caused their father to fear for his daughters’ safety. To protect them from threats and give them a stable loving home he brought them into our care where they enjoy a warm family environment and their physical, educational, emotional and spiritual needs are met. In April this year all the girls at the Beit el Safa home had a fantastic trip to an amusement park. They take this trip every year and it is an occasion they all look forward to. While all the children had an excellent time playing on the fun amusement rides, Hala had an accident while bouncing on the trampoline. She broke her leg and after a trip to the hospital, came home with a plaster cast from the top of her thigh to her ankle, she would need to have the cast on for five weeks. The plaster cast was helping to heal her leg however it also limited her mobility and she was unable to go to school, missing the last four weeks of the school year. Hala knew that her end of year exams were approaching and she was determined to do well. While her ‘sisters’ and friends were at school learning, she studied hard at home and despite missing the last four weeks of her lessons, Hala made it into school to complete her exams and amazed all her family at the Beit el Safa home by achieving brilliant results, coming first in her class and receiving the first prize in her school. We are so proud of Hala for her achievements, but also for her kindness, determination and character. In troubled Lebanon Hala has a bright future ahead of her, just like all the girls cared for in our Beit el Safa Home. Read more of our wonderful Stand by Me kids stories here.